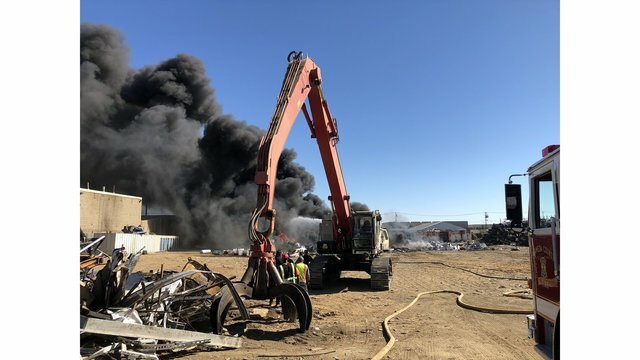 SAN LEANDRO (KRON) - A one-alarm fire was burning at the ALCO metal recycling plant in San Leandro on Friday afternoon, firefighters said. But at around 5:30 p.m., the fire is under control. 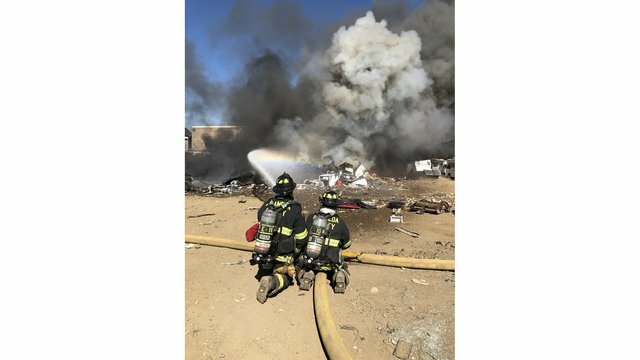 "Fortunately, an Alameda County Fire Department engine was in the area and viewed the plume of smoke near the intersection of Doolittle and Davis Street. 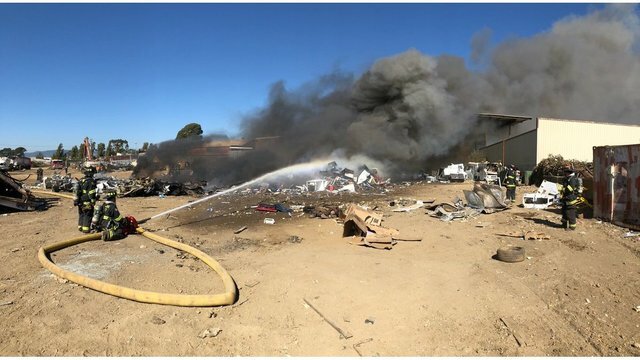 Their quick actions kept the fire to a smaller area," firefighters said. The plant is located at the intersection of Davis Street and Doolittle. Smoke was visible throughout San Leandro. Residents were being asked to shelter-in-place on Adams Avenue (on the NORTH) to I-880 (on the EAST) to Williams Street on the SOUTH and the Bay (to the WEST). "Please remain indoors, and close doors and windows to prevent outside air from entering buildings until further notice," authorities said. The shelter-in-place has since been lifted. 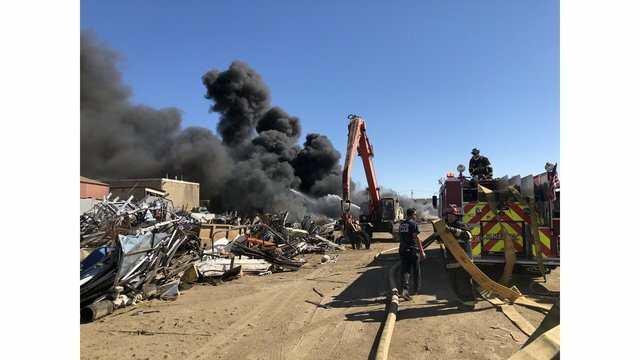 Initially, firefighters reported a Tesla car was in the main portion of the burned fire pile. It is unknown if the vehicle had any role in the cause of the fire. Stay with KRON4 for updates on this breaking news story on-air, online, and on the KRON4 app.